Vermont is renowned for its snow. Bing Crosby, Danny Kaye, Vera-Ellen, and Rosemary Clooney sing about it as they make their way to Vermont in White Christmas. While that snow can be gorgeous – especially during the holiday season – it can be tough to drive on and make traveling to work or home for the holidays very difficult. Luckily, there is a vehicle brand that was built to handle snow, and that is Subaru. 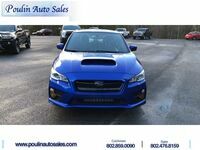 This Japanese brand has been on American roads for a while but has enjoyed immense popularity in the last few years thanks to its stellar all-wheel drive system. This drivetrain system provides the perfect amount of power and traction so you can handle snow and ice-covered roads with confidence. And with state-of-the-art technology, you can stay connected while you are on the road or enjoy listening to “Sisters” on repeat. 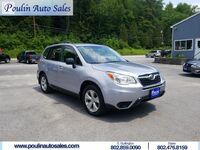 Here at Poulin Auto Sales, we specialize in high-quality used vehicles and models from the Subaru brand frequently make their way onto our sales lot – including the beloved Outback (a rugged station wagon that is ready to adventure around Vermont) and Forester (a family-friendly crossover with a taste for the great outdoors). 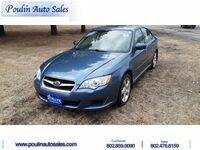 Before we add the “for sale” sticker to a pre-owned Subaru, we perform a thorough inspection to ensure that it will offer great safety and performance for many years to come. 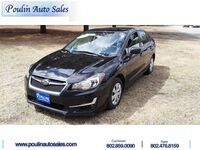 When you shop at our dealership, you will be greeted by warm and friendly sales and financial professionals who will work one-on-one with you to find the perfect Subaru for your lifestyle and budget. 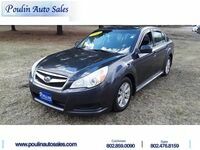 To learn more about our current selection of used Subaru vehicles, please check out our online inventory or give us a call to let us know what you are looking for.